National Geographic has described it as “the jewel in the crown of cloud forests.” This amazing green forest is one of 7 wonders in Costa Rica. 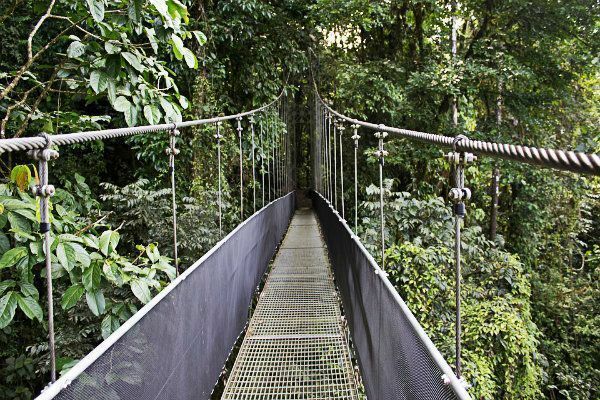 You can get a day hiking in the Monteverde Cloud Forest Reserve or go on a multi-day tour with a local guide to have an unforgettable experience. There is nothing like the beauty of that fog in the tree tops. You can see ferns, 418 types of orchids and a wide assortment of plants. This unique ecosystem makes it possible and it is home to some of the most diverse wildlife on earth. It is a paradise for nature and wildlife seekers. 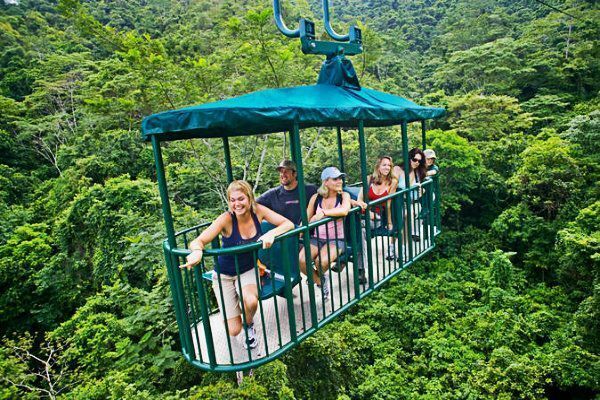 There are a lot of options for those who want to explore the cloud forests, like hiking, zip-lines, horseback riding, trekking across walkways, insect museums, coffee plantations, wildlife tours, bird watching, etc. You can see the rare and beautiful Quetzal bird hiding between the trees. This bird can only be seen in the cloud forest of Central America. Nature enthusiasts travel far to discover these kind of wonders. Santa Elena Cloud Forest Reserve is really close to Monteverde and it is less crowded in peak season. 3.Osa península: Corcovado National Park. Manuel Antonio is the smallest park in Costa Rica, but abundant with wildlife. It is a destination that offers something for everyone. Manuel Antonio National Park boasts three beautiful beaches, casual forest trails, and a dense rainforest with animal life. The two main beaches inside the park, Playa Espadilla Sur and Playa Manuel Antonio are a 30 minute hike from the main entrance of the park. The white sandy beaches in the coastal park are popular for relaxing, swimming, snorkeling, and surf lessons. You can also enjoy a few short hiking trails with a naturalist guide to see more wildlife, find zip line tours and whitewater rafting tours. You will be able to see capuchin, howler, and squirrel monkeys, sloths, iguanas, agoutis, many species of birds and much more. Discover the rainforest, enjoy Quepos sportfishing, visit Damas Island Estuary on a kayaking tour or reach Santa Juana Mountain Village to know the rural lifestyle, enjoy horseback riding and trying the traditional Costa Rican cooking. 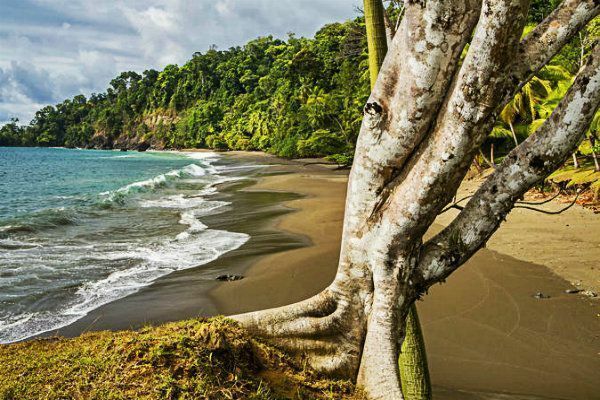 Wildlife enthusiasts from around the globe come to the small town of Tortuguero, attracted by the famous sea turtles that come to this location to nest. Tortuguero’s dense jungle can be compared to the wild Amazon. In Tortuguero National Park, everything is interlinked. The network of canals, rivers, lagoons, beaches, and the dense rainforest. This is one of the rainiest areas of Costa Rica, hence its rich biodiversity. Exploring these canals and the wildlife by boat or kayak is an awesome way to experience nature. 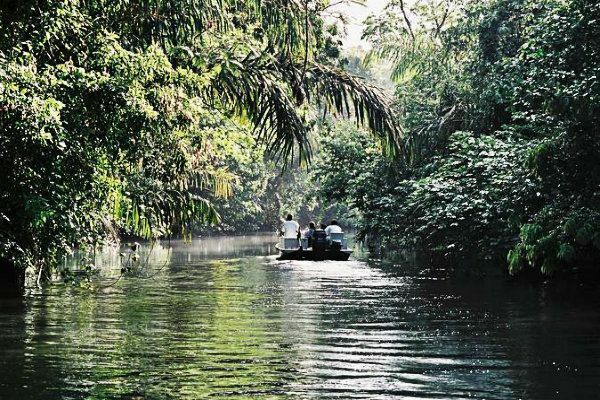 The labyrinth of canals and rivers is the main attractions of Tortuguero National Park. These parks provide shelter to some endangered species such as Green, Leatherback, Hawksbill and Loggerhead sea turtles, macaws, jaguars among others. You can see how these amazing turtles return home in order to lay the next generation of eggs. The Leatherback is the largest turtle on earth, with an average length of 1.82 to 2.13 meters and they can weigh up to 680kg. The most common species of these great creatures is the Green Turtle which is famous for its massive annual nesting from July to mid-October. DO YOU WANT TO TRAVEL TO COSTA RICA? 6.Poas Volcano & La Paz Waterfall Gardens. 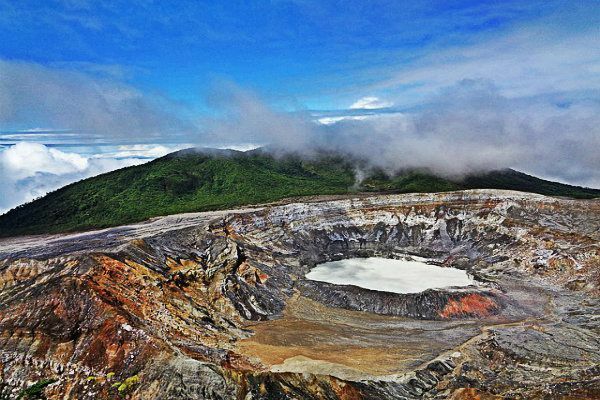 Poás Volcano is really close to San Jose City and it is one of the most popular attractions in Costa Rica. The main crater with sulfuric emissions and two crater lakes is one of the largest on the planet and it receives thousands of trekking lovers each year. The northern lake, called Laguna Caliente is one of the world’s most acidic lakes and the southern lake, Lake Botos, is cold, clear, and surrounded by the incredible cloud forest. 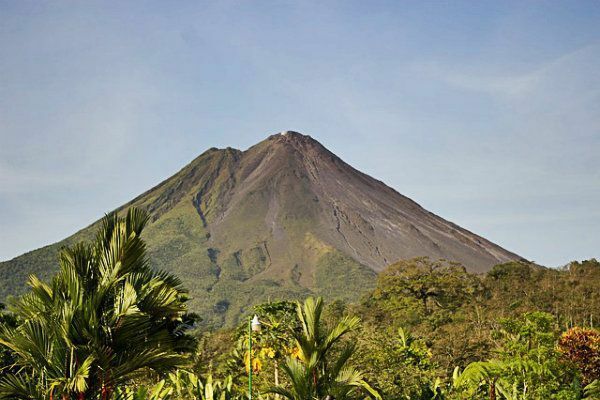 You can reach the top of the volcano on a one day tour or combine it with a coffee tour or a visit of the La Paz Waterfall Gardens. 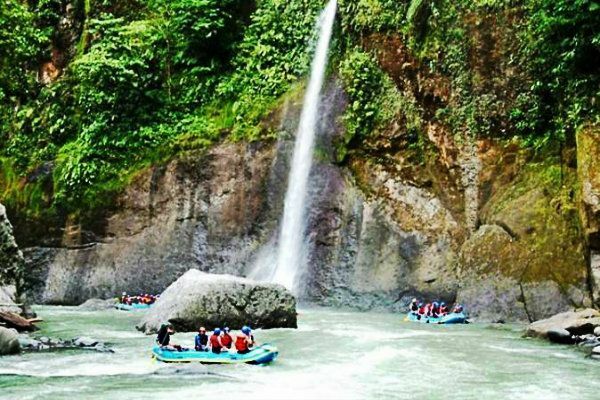 You can also get whitewater rafting tours, rainforest adventure tours or visit the Irazu Volcano, Orosi Valley & Lancaster Gardens in one tour. The weather in this national park is humid and cold, with an average temperature of 15ºC and with the possibility of rain all year round. Thanks to this weather, the surrounding area is beautiful and green. If you are looking for a surf and party holiday in Costa Rica, there are two locations that you need to know about. One is Puerto Viejo and the other one is Tamarindo. Costa Rica´s biggest wave called Salsa Rosa is in Puerto Viejo and surfers worldwide come here to enjoy pristine beaches, perfect waves and crazy nights in the same package. You can also go snorkeling and scuba diving among the many reefs in the crystalline waters, horseback riding, mountain biking, enjoy cultural visits to discover the life of the indigenous people or the sloth sanctuary and enjoy the great traditional food. This place has a history full of Spanish colonists, cheeky pirates, and hidden treasures. Jamaican influences, an English Creole Dialect combined with reggae rhythms, offer a slower and peaceful lifestyle totally different from the rest of the country. 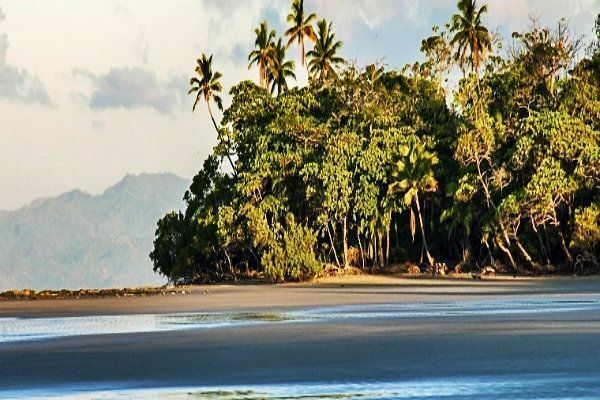 If you are interested in adventures, you must visit Cahuita National Park and Gandoca Manzanillo Wildlife Refuge too. At the reserve you can find sea turtles, dolphins, crocodiles and manatees among others. Pacuare River is one of the best spots on earth for whitewater kayaking and whitewater rafting. This amazing river has rapids from class II to class V and several waterfalls. It also contains a great rainforest with awesome wildlife, many bird species and exotic creatures. The best way to enjoy Pacuare River is on an overnight rafting trip. You can raft the most incredible rapids, jumping in huge waterfalls, hike the rainforest and stay at eco-lodges. If you are an intrepid adventurer, you must visit this place. If you don´t have time, you can also go on a single day rafting tour which is a great way to spend an action packed day in Costa Rica. If you are looking for a full package you can also get some extra activities in the area such as swimming in natural pools, rappelling, zip-lining, horseback riding, fishing, bird watching and visiting indigenous communities. 9.Guanacaste. Papagayo Peninsula, Tamarindo and Celeste River. Guanacaste landscape looks like the African savannas or the Wild West. The arid climate and the tropical dry forests make this place the perfect location to grow the Guanacaste, Costa Rica´s national tree. You can see rodeo shows and cowboys every weekend in the summer. Peninsula Papagayo is the most exclusive area in the country and here you can relax on the quiet and uncrowded beaches. This location is mostly for families and relaxing holidays. You can visit the grey sands of Hermosa beach, the brown sands of Matapalo Beach or the white sands of Langosta Beach. If you are a surf lover, your perfect destination will be Tamarindo Beach. Tamarindo is one of the most famous areas in Costa Rica for surfing and enjoying the lively nightlife. You can also visit Flamingo Beach, Conchal Beach or Mansita Beach. 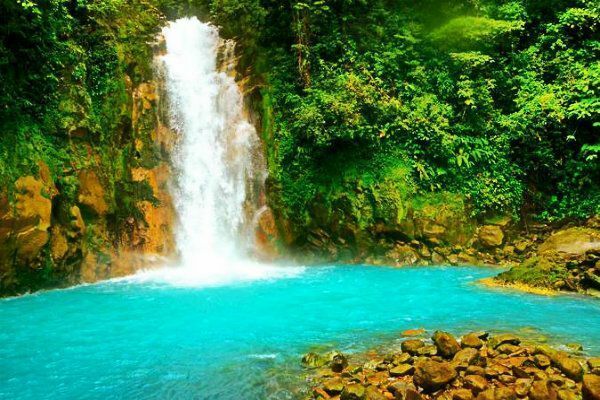 Another one of the natural wonders of Costa Rica is Celeste River. This river is famous and so special because the water is such a beautiful light blue colour that it almost seems artificially coloured. You will have to hike 3 hours through the rain forest to reach the river. It is not possible to swim in the river but it is worth going just to see the beautiful waterfalls and colorful waters. It is not just for families. Adventurers can also enjoy Guanacaste area doing some serious stuff such as Catamaran Cruises & Snorkeling, Heliconia Hanging Bridges and a Rainforest Hike, a Safari Float on the Corobici River, a Tamarindo Mangrove & Estuary Kayaking Tour, a Santa Rosa National Park Tour, a Rincón de la Vieja National Park & Volcano Tour, a Palo Verde National Park and Guaitil Pottery Tour, Canopy Zip Lining, Whitewater Rafting Level III- IV –Tenorio River, Horseback Riding, Surfing, scuba diving, Turtle Nesting, Rio Celeste Waterfall, etc. 10.Jaco Beach & Herradura Beach. A mountainous landscape with sandy beaches and turquoise waters are the main features of this location. 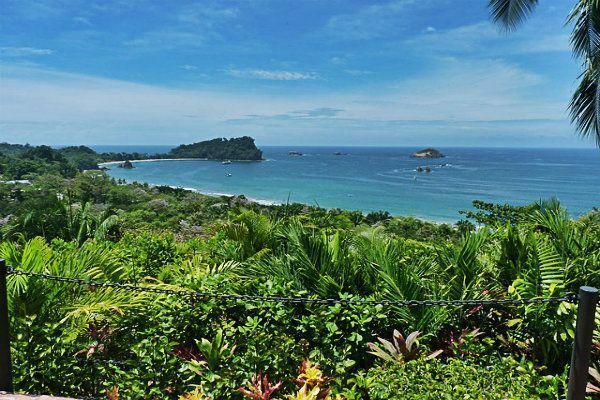 The region is home to the famous surf town of Jaco, Carara Biological Reserve, and the beloved Manuel Antonio National Park. Jaco is known for its hidden beaches and excellent surfing spots. Whether you’re looking for secluded beaches, a family ocean resort, or a top surfing destination, this area can provide just what you’re looking for. Not far away, the Carara Biological Reserve provides home to a wide variety of animals. The spot is well known for the population of scarlet macaws. Don’t forget to stop at the Tarcoles River to see the crocodiles but be careful! These reptiles can reach up to 16 feet in length! Playa Herradura is a great beach to get lost on and to swim in the calm and clear waters. Spots to visit and activities to do in the area: Carara Biological Reserve, surfing, scuba & snorkeling, Tarcoles River, Fishing, Manuel Antonio National Park Day Tour, Carrara National Park Hike, Sea Kayak & Snorkeling, Tortuga Island Cruise, Bijagual Waterfall Horseback Ride, Canopy Tour, Mangrove & Crocodile Adventure, etc. 11.Nicoya Peninsula. Nosara, Mal Pais and Santa Teresa Beach. The Nicoya Peninsula is the perfect wellness destination. The peninsula is visited by travelers who are in need of escaping the stressful and noisy life in the city and finding natural landscapes and secluded beaches. 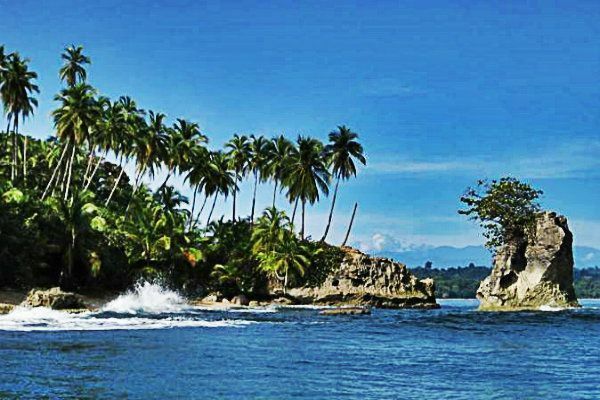 Nicoya Peninsula is an isolated location and water paradise of great proportions. Towns like Nosara and Mal Pais or Santa Teresa are a favorite destination among surfers, yogis, and wellness seekers. The laid back and relaxing lifestyle will make you feel like a new person after your vacation. Here the locals live longer as they have healthier lives. The waters are perfect for adventure sports. Nicoya offers the opportunity to see parrots, countless species of birds, iguanas, dolphins, monkeys, coatis, sloths, marine turtles, marlin, and manta rays among others. Spots to visit and activities to do in the area: Surfing, scuba and snorkeling, yoga, hiking, turtle watching, Blue Zone, wellness, Gulf of Nicoya, Ostional National Wildlife Refuge, Olive Ridley Sea Turtles Nesting, Barra Honda National Park, Las Braulas National Sea Park, etc. -South Pacific Coast: Marino Ballena National Park,Uvita Beach, Dominical Beach. Did you like our post of “Best things to do in Costa Rica” ? If you liked this post and our website, you just have to fill the form that we leave below and we will send you a monthly newsletter of all our worldwide adventures. 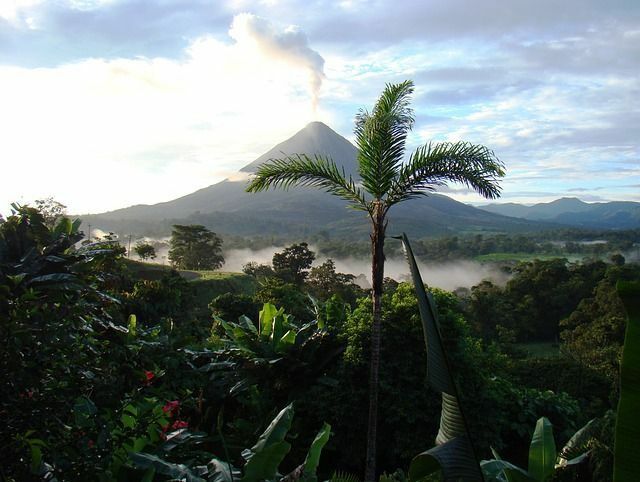 And of course, our next post of Costa Rica too. Stay tuned and follow us on our social media networks for more adventures !! You have successfully subscribed! Please, check your mail box to accept the confirmation email.